February! SOIL & SEED Month! Please see February 2010 for tips on aphids/white flies, slugs/snails, gophers, soil, seed starting basics! When there are warm days, it is ever so tempting to plant up summer veggies! Don’t do it. Not yet. Start seeds. 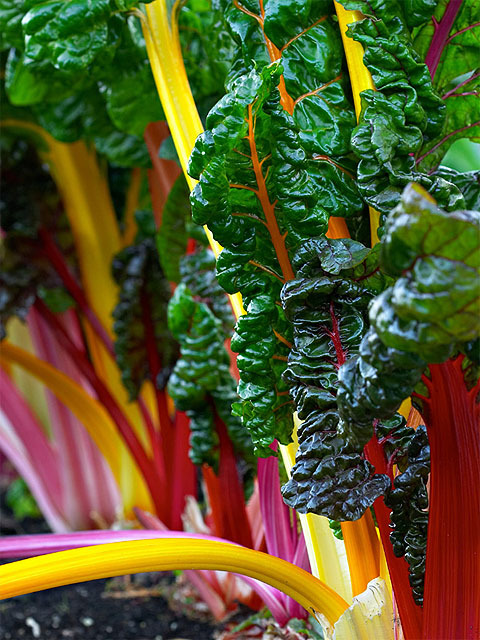 Depending on how much space you have, plant a last round of your very favorite winter crops – lettuces, beets, broccoli, cabbage, carrots, cauliflower, celery, chard, kale, kohlrabi, potatoes, radishes, turnips. Bare-root asparagus and artichokes. I forgot to tell you last month, you could start zucchini! At Pilgrim Terrace Community Garden we had an elder gardener who always started his in January, early February, and had great zucchini way before everyone else! Other than zuchs, really look at those days to maturity, and add the number of days you expect for harvest duration. If you plant a long maturing plant that would be harvested for some time, think if you would rather have that space for an early round of a summer veggie you love more. Choose mildew and disease resistant varieties for your late peas. Keep sidedressing your producing plants, protect your tasty lettuces from slugs and snails. Keep watch for aphids, and, if you disturb your plant and a little cloud of white things fly off, you have white flies. Spray those little buggers off asap so they don’t spread to your other plants or someone else’s! Keep up with your harvesting. Wait until it warms up some more to prune frost damaged plants. Even wait until next month to fertilize. But do prepare your soil for March summer veggie planting. Dig if you must – I’m a no-dig, no weed person who leaves the living soil structure intact [see Gaia’s Garden, 2nd edition, chapter on soil]. Instead, prepare your soil by layering good stuff on top, called Lasagna Gardening, sheet composting, composting in place, or on-the-ground composting! Garden smart! If it is already there, you don’t have to move it from the compost pile to where it is needed! Build your soil in place or in your new raised beds! If you are putting raised beds on top of your lawn, lay down several layers of heavy cardboard first, to stop the grass and weeds, thoroughly soak it, then layer, layer, layer! When they get there, your plant’s roots will easily poke their way through the cardboard. Definitely attach gopher proof wire mesh to the bottom of your raised bed frame before you start filling it, unless you are creating your garden on top of concrete or a roof. If you are container gardening, check out Patricia Lanza’s book Lasagna Gardening for Small Spaces: A Layering System for Big Results in Small Gardens and Containers: Garden in Inches, Not Acres. Healthy layering should be 2 dry/Carbon to 1 wet/Nitrogen. Carbon – carbon-rich matter (like branches, stems, dried leaves, peels, bits of wood, bark dust or sawdust, shredded brown paper bags, coffee filters, conifer needles, egg shells, hay, peat moss, wood ash) gives compost its light, fluffy body. Nitrogen – nitrogen or protein-rich matter (manures, food scraps, leafy materials like lawn clippings and green leaves) provides raw materials for making enzymes. ADD dry materials – straw, leaves and wood ashes. If you have wood ashes, sprinkle in thin layers, or they will clump together and be slow to break down. Fine chopped, smaller materials decompose faster. Lay on manure, green manure ( clover, buckwheat, wheatgrass ) or any nitrogen source. This activates the compost pile and speeds the process along. Put on rinsed seaweed for minerals, scatter some yarrow sprigs to further speed decomposition, and, of course, your kitchen food waste. Think how that pile is going to decompose lower and lower. Build enough layers to get the amount of soil you need. Could be 18” high. If you like, sprinkle some microbe rich topsoil over it all to ‘inoculate’ with living soil organisms that will immediately go to work. Add a few handfuls of red wriggler compost worms. Add any other amendments that make you happy. Install some pathways. Don’t walk on your oxygen rich breathing brew and squeeze the life out of it, or crush your worms and soil structure! Keep things fluffy for good soil aeration and water absorption. If you need to, for aesthetic reasons, cover the compost with a pretty mulch that will break down slowly. Spread it aside when you are ready to plant. It could be down leaves; if you need your soil in that area to be slightly acidic, cover with pine needles (strawberries). If things get stinky, add more carbon. You want to plant NOW, or the same day you layer? Can do! Or your instant soil wasn’t so instant? OK, here’s the instant remedy. Make planting holes in your layers, put in some compost you purchased or have on hand, mycorrhizal fungi, and plant! The rest will catch up, and the heat from the composting material underneath will warm your plants! You WILL have a fine garden! If you do also need a traditional compost pile for spot needs, consider “No-turn” composting! The biggest chore with composting is turning the pile from time to time. However, with ‘no-turn composting’, your compost can be aerated without turning. The secret is to thoroughly mix in enough coarse material, like straw – little air tubes, when building the pile. 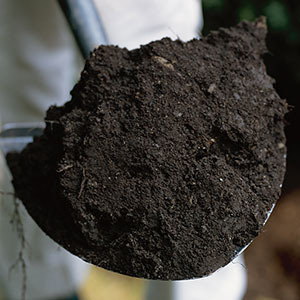 The compost will develop as fast as if it were turned regularly, and studies show that the nitrogen level may be even higher than turned compost. With ‘no-turn’ composting, add new materials to the top of the pile, and harvest fresh compost from the bottom of the bin. So here are 3 ways to save garden time and your back! 1) No digging! 2) Compost in place, no moving it. 3) No compost turning! Uh huh. Mulch, Water, and Weed Smart! If you didn’t mulch, didn’t mulch thick enough, or your mulch is thin and tired, now’s the time to put some down! It keeps your soil cooler, reduces evaporation, you use less water. Mulch prevents light germinating seeds from growing, using up soil nutrients and your soil. Big weeds – if healthy with no pests, chop and drop – that can also include your spent big plants, tops that have bolted, ones you no longer want. Toss the heavy stems into your long-term compost or green waste disposal. Chop and drop practice makes perfect pure guaranteed organic mulch. Remember, you won’t be doing chop and drop with Brassicas that have poisons that kill small seeds like lettuce seeds. 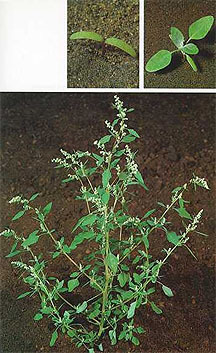 Little weeds – get ‘em before they seed. If you see flowers, no matter how cute, pretty, and tiny, tiny seeds are very soon to follow. Every one of those is a new little weed that will need weeding, eats up your time weeding, again, and soil. Grass, with that pretty little plume? Those are flowering, seeding. The wind will blow them about. DO NOT pull and lay them on your soil to regrow right there. Remove them, not even into your compost pile, especially if you are not doing hot compost. Even then, it’s not likely every part of your compost pile will get hot enough to kill those little survivor seeds. When you pull little weeds, and you want to use them for mulch, leave them with their roots up, not down where they may grab what soil they can and grow again. One way to instant ‘weed’ tiny weeds in soft soil, is to use a knife, thin blade or stick, and poke/cut them down, push them into your soil. Instant mulch! Works better than raking or hoeing because that dries out your soil, and exposes more light germinating seeds so they can grow too, more weeding. Good weeds – Gardeners, we can reduce or eliminate fertilizer costs and improve soil naturally with plants that are “dynamic, or nutrient, accumulators.” Often they have long tap roots that gather nutrients deep in our soil and make them available to other plants. Some are very nutritious! You can steam them or eat tasty young tender leaves in salads! Pigweed/lamb’s quarters, comfrey, dandelion, garlic, yarrow (also helps heat, decompose your compost more quickly! ), fennel, purslane, buckwheat, parsley, peppermint, chamomile, stinging nettle, thistle, vetch, plantains, are all nutrient accumulators! Yes, several of those are ‘weeds,’ but now you will never think of them quite the same way again!